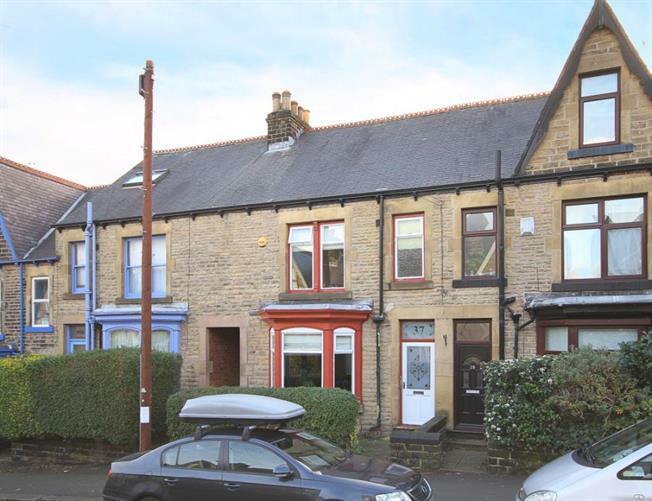 4 Bedroom Terraced House For Sale in Sheffield for Guide Price £210,000. A superb opportunity to acquire this four bedroomed terraced residence located on one of Hillsboroughs most sought after roads. Offering spacious accommodation over three levels with the benefit of entrance hallway, double glazing, GCH offshot kitchen and bathroom, forecourt and rear gardens. Hillsborough is a popular and highly convenient suburb with busy shopping centre at its heart providing a large range of local shops and supermarket chains. The Bus Station and Supertram network offer superb transport links to the city, principal hospitals and universities. Local schools include Hillsborough Primary, Malin Bridge Primary and Sheffield College. With local pubs, restaraunts, cafes and take-aways. Further amenities include a beautiful Victorian park, home to the Tramlines festival, local library and leisure centre. The accommodation comprises an entrance door opening to the formal entrance hallway with stairs rising to the first floor landing. The lounge has bay window to the front, stripped wooden floorboards and wood burning stove focal point with tiled hearth. The dining room has window to the rear with stripped wooden floorboards, cellar head access and an open plan aspect into the offshot kitchen, fitted with a range of base units with block wood work surfacing, inset sink, integrated oven, hob and wall mounted extractor, tiled splash backs, parquet style flooring, window to the side and rear access door. On the first floor the master bedroom is carpeted with window to the front. Double bedroom two is carpeted with window to the rear, Bedroom three provides flexible accommodation as bedroom, study or nursery. The family bathroom has four piece suite comprising roll top bath, wash basin, wc and separate shower unit, having tiled splash backs, window to the rear and housing the Worcester gas fired combi boiler. From the first floor further stairs rise into the spacious attic bedroom providing excellent potential. To the exterior of the property is a walled forecourt, to the rear is a garden area with lawn and decked area providing an excellent outdoor seating and entertaining area. An early viewing is essential to appreciate the size of accommodation on offer and to take advantage of this increasingly rare opportunity.